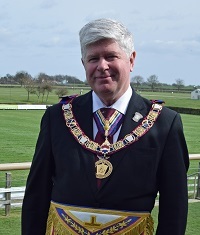 I have great pleasure in welcoming you to the website for Mark and Royal Ark Mariner Freemasonry in Lincolnshire safe in the knowledge that this website will be both informative and of interest not only to Freemasons, but also to those merely curious. On our website you will find a wealth of information specific to the Mark and Royal Ark Mariner degrees, their history and development throughout Lincolnshire, and news and events relating to our Province and it’s Lodges. The Mark degree greatly enhances a Craft Mason’s understanding of operative masonry, has been practiced very successfully in Lincolnshire for some 150 years. We currently have 22 Mark Lodges and 18 Royal Ark Mariner Lodges meeting at 18 Masonic centres throughout Lincolnshire. The Province is presided over by the Provincial Grand Master, R.W. Bro. Stephen Hallberg, assisted by the Deputy Provincial Grand Master, W Bro Ron Harrison and Assistant Provincial Grand Master, W Bro Jack Geelhoed. If you are already a Freemason and you are interested in joining our “happy , friendly and fun degree” please contact us. If you are not, but interested in joining Freemasonry in the Province of Lincolnshire click HERE to go to the website of the Provincial Grand Lodge of Lincolnshire for more information. Whilst the Mark degree in some form had been practised over the years from the eighteenth century, specifically as part of the workings of Royal Arch Chapter No: 257 in 1769 and subsequently under the old Grand Lodge at York, the Union in 1813 between the Antients and Moderns recognised only the three Craft degrees, including the Holy Royal Arch, but not the Mark Degree. In June 1856 several leading Mark Masons founded their own Grand Mark Lodge and the English Grand Mark Lodge and the Grand Chapter of Scotland entered into a common ceremonial. Many freemasons consider this to be the most dramatic in its ceremony and it teaches particularly that education is the reward of labour and that fraud and deception does not succeed. The Structure of Mark Grand Lodge is similar to that of the United Grand Lodge. It has 41 Provincial Grand Lodges, 26 District Grand Lodges, and several unattached Lodges abroad. In addition to the Mark Degree, Grand Lodge also controls the Ancient and Honourable Fraternity of Royal Ark Mariners through a body styled The Grand Master’s Royal Ark Council. In size of membership the Mark ranks third, after the Craft and Royal Arch. Nationally, there are about 5.6 Craft Lodges to each Mark Lodge. Admission to the Mark Degree in England requires that a candidate be a Master Mason of the English Constitution, or of a constitution recognised by the English Craft Grand Lodge. 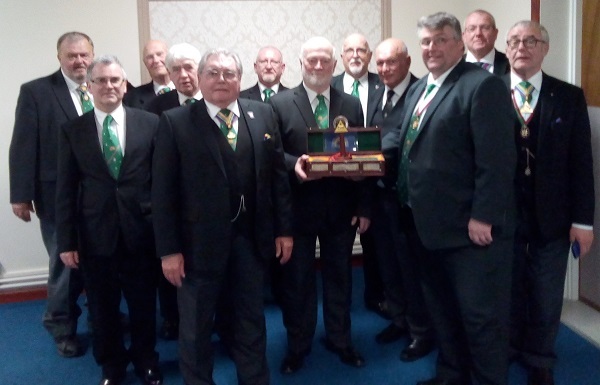 Mark Masons of other bodies recognised by Mark Grand Lodge may become joining members of English Mark Lodges. Reciprocal arrangements exist for our members to join other recognised constitutions. The minimum interval between the conferment of each of the Craft Degrees and between the Craft and the Royal Arch is 4 weeks. No specific period is stipulated for a Master Mason before he can be Advanced into Mark Masonry. 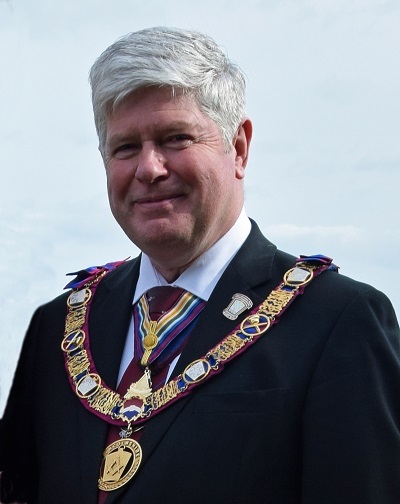 To be an Installed Master in the Mark Degree requires that the candidate be an Installed Master of a Craft Lodge, unless special dispensation is granted.